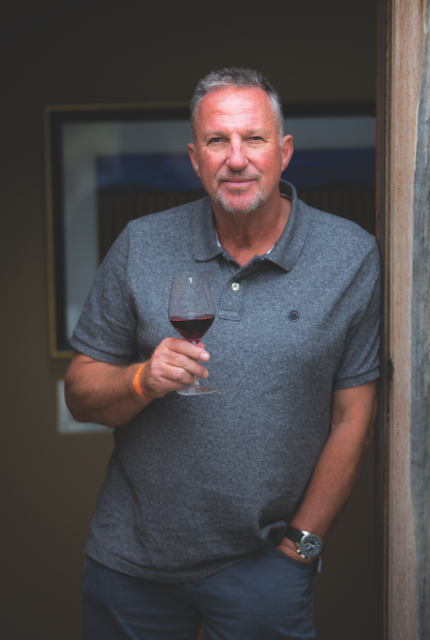 “I hate the term celebrity wine,” said Sir Ian Botham, during an exclusive interview with db at the launch of his own Chardonnay, Shiraz and Cabernet in London earlier this year. The comment came within minutes of meeting the legendary English cricketer at the first showing of a range of wines carrying his name, which took place at Lord’s cricket ground on 27 July. Although it seems strange such statement should come from a famous sporting figure as he unveils his own drinks brand, Botham justified the remark by spelling out the difference between his product and what he calls a ‘celebrity wine’. As he told db, Botham hasn’t just stuck his name to a finished product; he has actually made the wine. Yes, he’s worked with experienced winemakers – who are also his friends – but he has chosen these people himself, then blended their produce, according to what he likes to drink. And in terms of the description ‘celebrity wine’, for Botham, it suggests nothing more than an existing product that employs a famous person’s name to enhance its appeal. “This is not a vat of stuff that has just been labelled with my name,” he said. Indeed, when it came to creating the entry-level Chardonnay in the new Botham-branded range, he explained how he unnerved his partner in this project, former Accolade Wines CEO Paul Schaafsma, who founded Benchmark Drinks earlier this year. “Although the wine was going to be from south-eastern Australia, I said it needed more fruit, more weight, so I added 10% from Margaret River in Western Australia, but then I said that it needed more, so I added another 10%, and I could see Paul looking worried as he worked out the costs, and then I felt it needed yet more, and we settled on 30%,” he said. This will be for a Chardonnay that will carry a UK retail price of £8, so one can understand Schaafsma’s concern. But Botham recounted such a story to highlight the fact that he’s making the blending decisions, and with a single goal in mind: the wines must be in keeping with his tastes. While it’s common among wine lovers to profess a fondness for delicate styles of wine, believing that it’s a sign of sophistication, there’s no such pretence with Botham. Indeed, he told db that he likes full-bodied booze, be it a ripe Chardonnay or juicy Shiraz, and generally has a palate that prefers warm-climate New World wines. Such control over the character of the wines at every level is vital for Botham. Then there was his involvement with Australian wine brand Hardys, owned by Accolade. It was this that brought Schaafsma together with Botham when Hardys had enlisted him as a brand ambassador as part of its sponsorship of the English cricket team, when Accolade had Schaafsma at the helm. Again, while Botham was closely associated with the product, he didn’t have a winemaking role. But when Schaafsma met the cricketer over breakfast in Sydney last year, and proposed launching a brand carrying the Botham name, the former Hardys boss made it clear that the wines would not just be Botham-branded, but Botham-sourced and blended. “Paul said to me, ‘let’s do a wine, but they will be your wines’,” said Botham. • A full interview with Sir Ian Botham OBE is featured in the August issue of the drinks business. To subscribe, and receive a print and digital edition of the magazine, contact Lewis O’Sullivan at lewis@thedrinksbusiness.com or call +44(0)207 803 2420.